A site that spans several thousands of years from the Stone Age to at least the Iron Age, the ancient people of the area built one of Britain's largest ancient sites in Yorkshire, in what was to become the heart of Brigantia. The Mesolithic period was the end of the Stone Age "hunter gather" times, before the widespread development of agriculture. 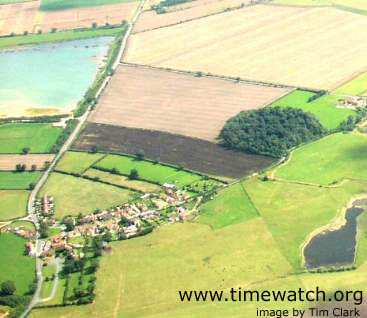 During this time Thornborough appears to have been one of Britain's earliest "ritual" locations. 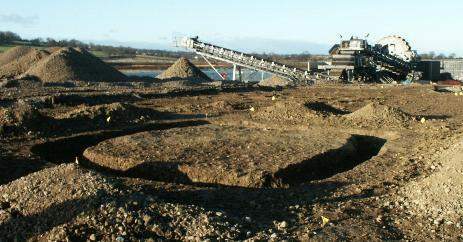 To the north of the village of Nosterfield, on the quarry in 2002/3 there was discovered an extensive double pit alignment that has been proven by carbon dating to be of Mesolithic date. 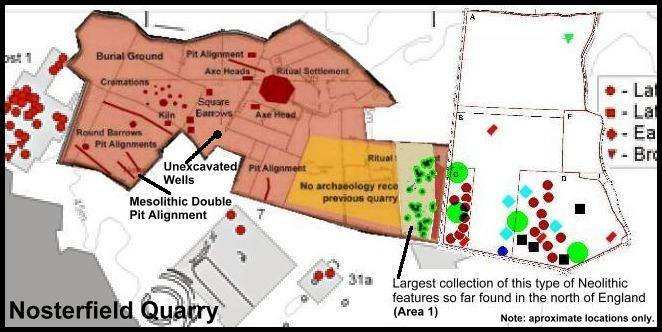 This is a very important discovery, since there are no known double pit alignments from this period anywhere else in the world and shows is potentially Britain's first communal religious structure. In the Mid Neolithic period, accross Britain farming practices were beginning to be established and the old hunter gatherer ways were giving way to a more settled existence. In addition the first communal ritual monuments were being built. At Thornborough, the ritual activities begun in the Mesolithic were dramatically expanded as large areas of land were cleared in order to make way for long cigar shaped cursus enclosures. These were built by digging a ditch to define the cigar shaped space, the earth from the ditch was then heaped outside the ditch to create an enclosing earth bank. 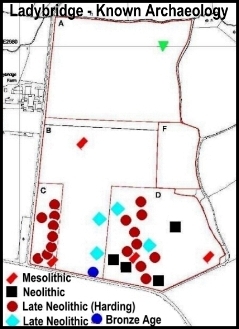 Whilst only one cursus has been confirmed, it would appear that Thornborough had three cursuses, two close to the henges and another to the west at Upsland. 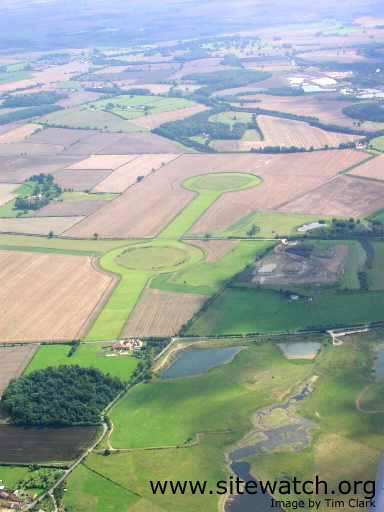 The largest cursus at Thornborough runs beneath the central henge and stretches for 1.2 km. This ceremonial avenue, was discovered from the air. It appears to be bent, travelling in two directions roughly NE/SW. The western section, now mostly quarried out has recently been announced as being aligned to the setting point of the constellation Orion. This is another important part of the Thornborough Complex for it means this cursus may be the oldest known major monument aligned to the constellation Orion in the world. It was during this period that Thornborough saw a massive expansion of ritual activities, on a scale that indicates manpower was being drawn from far beyond to local area. Whilst it is probably that the construction work lasted for most of the Late Neolithic period and had many stages, it can be divided into two phases. Phase I - the first henges. Of these, the central one is the most accessible, the northern one is the best preserved (because it is protected from the plough by trees). Each circle, like those east of Ripon, has a maximum diameter of about 800 ft. They are all nearly circular, with entrances NW and SE. Each has a massive bank, originally about 10ft high, with a ditch inside and outside it, about 65ft. wide and 8 - 10ft deep. The outer ditch of each circle is now filled up by the ploughing. Broad spaces about 40ft wide separate the banks from their ditches - an architectural refinement nowhere else in England. On such a scale. These circles have been built in a straight line orientated NW/SE they are ½ mile apart. Excavation in 1952 suggested that when first built each bank had been coated with a deposit of gypsum crystals in an attempt to whiten it. This may have been inspired by the blazing white if similar circles built in the chalk country of Wessex or the Wolds. The gypsum occurs in large deposits a few miles down the Ure. 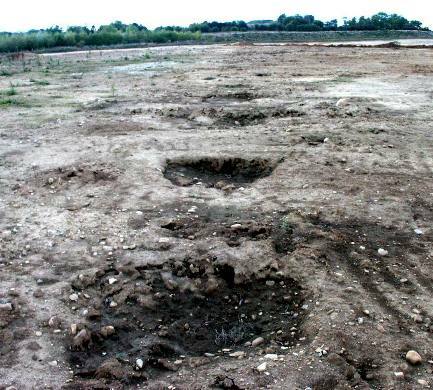 Iron Age Square Barrow uncovered close to a four horse burial from the same period, part of the ritual activities at Thornborough taking place in later times. Whilst the Thornborough Complex is impressive enough, it is actually only one part of a much larger monument complex. In the Vale of Mowbray, from Borroughbridge to Catterick, Eight enormous sacred sites were built in an area over 20 miles long; among them at least 28 barrows were accumulated, together with seven henges, five cursuses and a very impressive alignment of standing stones. 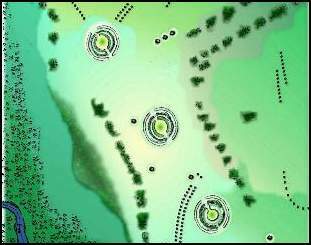 The most impressive henge monuments are the 3 Thornborough Circles. The circles on Hutton Moor and at Cana are less impressive because they have been reduced by ploughing. 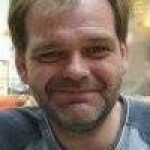 They should be seen nevertheless, since they are part of a concentration of sacred sites unmatched in the N of England. 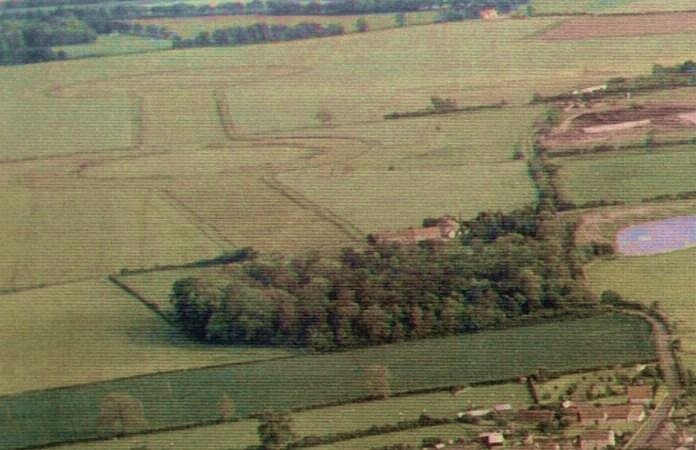 Recently aerial photographs have revealed the remains of a third circle here, at Nunwick, still visible on the ground about SE/323747. This appears to be a smaller circle with no outer ditch, aligned on the 3 Thornborough Circles. Its diameter is 300ft. 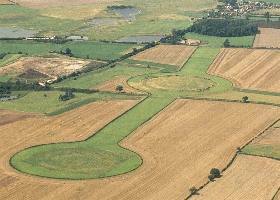 These sites must be contemporary with the Thornborough Circles. They are identical in design but their entrances are orientated N/S. 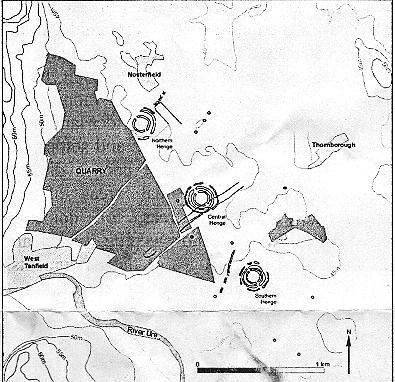 Many barrows can be found close to the circles - the resting places of those chiefs whose people worshipped there. Most are now sadly reduced by ploughing and their surrounding ditches cannot be seen. The Centre Hill barrow (SE/287791), between the central and southern Thornborough Circles is 90ft in diameter and 3ft high. A skeleton was found at its centre, buried in a wooden coffin and furnished with a food vessel and flint knife. There are 3 barrows close together (SE/286801) E of the northern Thornborough circle, S of B6267. One is 80ft in diameter and 31/2ft high, the others are 60ft across and 1ft high. They covered cremation burials. There are 3 badly damaged mounds NW of Hutton Grange (on A61), about SE/347755. These covered cremations, associated with incense cups and larger pots.